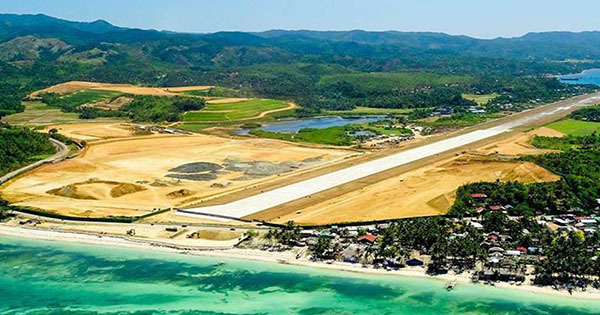 San Miguel Corporation, in cooperation with Trans Aire Development Holdings Corporation, its sister company, is now in the process of completing a 20-month long or so, Caticlan Airport runway expansion and new terminal, to accommodate the increasing number of local and foreign tourists that want easier access to get to Boracay - a paradise island in the Philippines. With the new Caticlan Airport larger passenger terminal and bigger runway, larger aircrafts such as the 180-seat Airbus A320, that can fly non-stop to countries like Japan and Korea, will be able to land and increase direct access to Boracay. To top it off, this Php 5.3 Billion project will ensure that Caticlan Airport is going to have the most modern navigational equipment that will allow it to operate in various types of weather and also feature night landing – thus, the problem of flight cancellations due to storms or visibility issues will be eliminated. In addition, Boracay travelers will no longer have to travel for two hours by land towards Caticlan Jetty Port from Kalibo Airport to get to this awesome island, and will thus have a more convenient route towards Boracay via their new destination - Caticlan Airport. Pretty soon, this better aircraft and passenger terminal shall welcome all the adventurous Boracay beach lovers out there who ought to fight the heat that swelters. Things will just keep getting better and better with other new changes on the list of San Miguel Corporation, that are still only rumored to happen. One of which is their plan to build a new hotel in Caticlan, a new hospital, convention center – and guess what, even a bridge that will connect Caticlan to Boracay! What a possible dream that is waiting to happen – all because of the charm and beauty that is of Boracay Island!